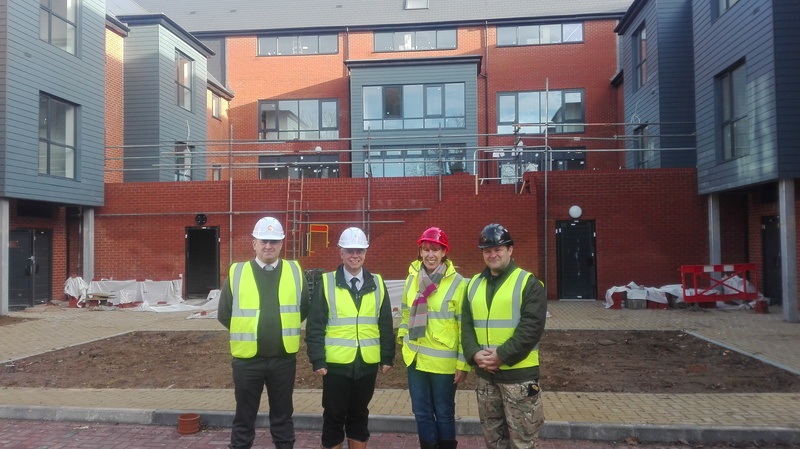 Our Wilton is an exciting new project run by Our Enterprise and the project’s other founding partners, Redrow Homes and the Wilton Community Land Trust (CLT), and has been led by Operations Manager, Sue van Leest. It represents a significant innovation in enabling developers and the local community to work together to achieve regeneration and attract significant social investment. So far, Our Wilton has attracted over £10 million in grants and investment. The programme at Our Wilton is a residential one, for ex-military personnel who want to secure their future and accelerate their access to opportunity. Through undertaking work, paid study or setting up a business, they will gain the help and practical experience they need to maximise their future prospects. Early service leavers are also fully eligible. The programme therefore represents an entirely flexible approach with a practical focus on real-world opportunities and learning, tailor-made to the individual. The veterans’ development consists of 44 high-quality serviced residential apartments, a café and a training suite. The apartments offer heavily discounted rents, providing those on the programme with affordable homes within a supportive community setting. All residents will be given the opportunity to participate fully in the programme’s training and career development opportunities. The veterans’ apartments, community café and training suite will open in late Spring 2019 and the enterprise hub is planned for a mid-2019 opening. A number of organisations are working with Our Wilton to deliver the project, one of the groups which has had the most positive impact on the Our Wilton journey has been the Salisbury Armed Forces and Veterans Breakfast Club. Just over two years old and with over 140 members, the group continues to grow and provide an essential range of advice, support and future referral pathway to ensure the success of the Our Wilton project. The Wilton Armed Forces Veterans Breakfast Club will work closely with the Salisbury branch to deliver a complimentary offer to veterans in the area.